Forget what you’ve heard about Windows tablets: The new “Bay Trail” generation is both cheap and powerful. And Microsoft’s Monday deal makes it even cheaper, as Dell’s Venue 8 Pro tablet, normally $299, is on sale for just $99. There’s only one catch: You’ll need to hop in your car to take advantage of it. Microsoft promoted the deal on its website on Monday morning, as part of its daily deals offering. But that deal sold out. Don’t despair, however: If you’re stuck at work, you can still buy a Venue 8 Pro—just on Monday, mind you—at about 33 percent off, or for $199. 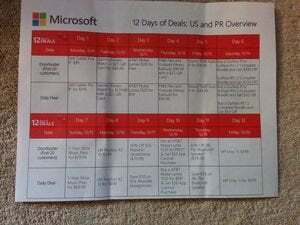 If a Venue 8 Pro’s not your style, Microsoft will offer additional deals on everything from Fitbits to Nokia Lumia 1020s, according to this leaked document of all of Microsoft’s holiday deals. Unfortunately, there aren’t any super discounts on the Xbox One. Remmebr to pick up a SD card for extra storage. So if you do opt for the deal, what exactly are you getting? According to PCWorld’s review, the Venue Pro is a four-star tablet with enough performance and battery life to serve as an entertainment-focused tablet. If there are any weaknesses to the Venue 8 Pro, it’s a lack of video output, meaning that you won’t be able to dock the tablet for true productivity. So far, we’re not sure if the Microsoft Store page will reflect the $99 deal availability, so your best bet would be to call around and see if the discounted laptops are available. Otherwise, you may as stay home in your cozy little office and buy online. For Microsoft, however, such in-store deals represent a nice opportunity to lure shoppers out of the Apple-Android online media bubble and show off the best of what Microsoft and Windows has to offer in the real world. Microsoft is running online daily deals through December 20, and each of the deal listed on the SlickDeals site implies that in-person shoppers will receive the best deals. But in our humble opinion, today’s is probably the best, so act fast. 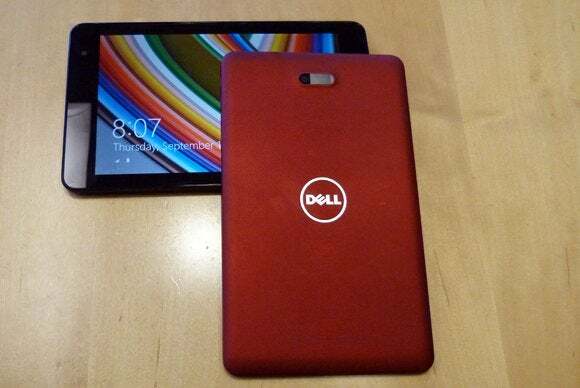 Dell's 8-inch mini tablet packs full Windows 8.1 in a thin and light package with strong performance and battery life. The optional stylus is good only for short notes. not long handwriting or sketching.